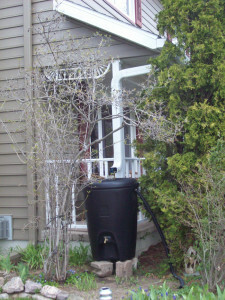 Having a rain barrel added to your homes gutter and downspout system is an effective way to collect non-potable water that can be used to keep your lawn and foliage healthy during periods of intense drought. Homeowners in Santa Fe, New Mexico, understand the concerns that come along with long dry seasons, so having one of the barrels offered by ABC Seamless of Albuquerque can be beneficial to collect water during rare moments of heavy rain. To get the most out of your new rain barrel, it is crucial that you have an efficient gutter system installed at your home. We offer seamless steel gutters that will prevent any blockages from occurring to ensure that your gutters will no longer leak, crack, or break. And, if you install one of our gutters covers over the top of your new system, you will never need to climb up on a ladder to clean out your gutters by hand again. For more information about the impressive rain barrel and gutter system options that we offer to homeowners in Santa Fe, NM, and the surrounding areas, contact ABC Seamless of Albuquerque today. Make sure to ask about our impressive financing options available to all who qualify.